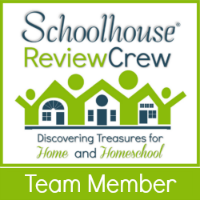 During the Back to Homeschool Blog Hop, we have chatted about setting goals for your school year and also realizing that you just can’t fit it all in. Today’s topic is about Homeschooling Where You are Planted. Finding freedom in knowing that God has planted you and your family right where you are at this moment in time can be a wonderful realization. It is actually the key to cutting out the roots of discontentment and doubts. When we began homeschooling a decade ago, our life was very different. In our first year, our daughters were in the middle of their elementary school years, our son was a first grader with some learning struggles, and our baby was just that – a baby. We had converted our dining room into a schoolroom and began our journey. During those early days, we learned to do the subjects that required extra attention during the baby’s naptime and later when we placed him in the bathtub with finger paints to stay confined and entertained. The girls were an ideal age to combine science and history into a shared learning time. It was also a period of intense learning and growing in educating our son who struggled with learning issues. Throughout our years educating our children at home, we have been a self-employed family whose sole income has been from our family run farm for most of these years. Running a farm is a family business that requires all hands on deck. There are days when there are emergencies with the animals, hay that needs to be hauled, or wood that needs to be chopped to heat our home. FLEXIBILITY is the buzzword for success around our house. Our children have learned that the needs of the farm must take priority as they provide for our very existence. This is a valuable lesson, but a difficult one when they want to have a playdate with friends or when I would love to lavish them with violin or art lessons in town. Friends that have only one child and live in a subdivision seem to be able to enjoy an abundance of field trips and incorporate lots of extracurricular activities into the schedule. Do you hear the envy setting in? The funny thing is that on occasion I can hear that mom talk of the struggles of not having those lively group discussions over a topic in history that families with multiple children have. The need to be intentional in teaching her child patience since there is no one to wait behind to get the help needed on a math lesson is another challenge in homeschooling an only child. As our family begins our tenth year of homeschooling this year, life has taken us to a new place once again. We are experiencing the true moving up of one of our students as our oldest leaves for college. Our school year will be delayed in starting because we all feel like we need to make this transition and adjust to our new normal a bit more before diving into our studies. We will also be busy as our second oldest begins her senior year and all that comes with that in preparing to graduate and take on what comes next. Our boys are now in high school and middle school. Their interests are becoming more defined and rather than dealing with learning issues and challenges of having a toddler underfoot, we are developing skills and character as they start seeing themselves as young men rather than the little boys of the family. Changes are a part of life. We all encounter different developmental stages with our children. Our situations and challenges vary. But don’t let the differences get you down or discouraged. God has divinely appointed you to be where you are right now with all of the joys and struggles that this time and place may hold. He is orchestrating a great story revealing Himself in you and your children that would not have quite the same ending if it were not weaved through the yesterdays, todays, and tomorrows specially designed for you. Your experience will not be the same as the other families in your neighborhood, church, or homeschool group. But take heart in knowing that God never lets you out of His hands. We are not exactly in the same boat, but I completely agree with the changes in schooling. I am glad to that we are able to listen and grow where we are planted. Thanks for the post!